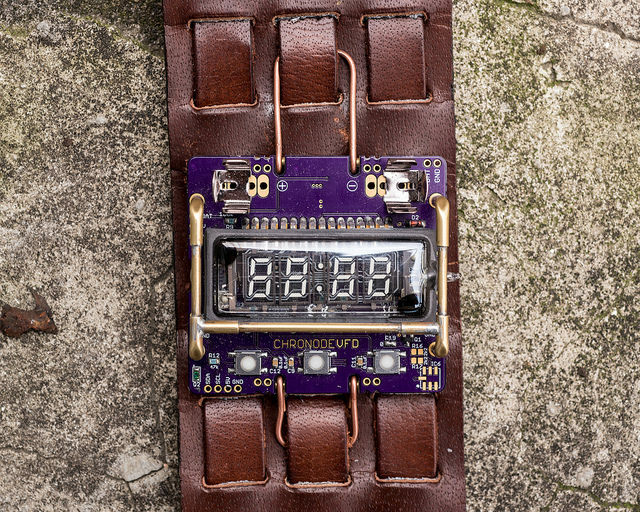 J. M. De Cristofaro’s CronodeVFD wristwatch features an IVL2-7/5 VFD display tube. Smartwatches are the latest craze for those who want to interact with their smartphones and keep tabs on their fitness regimens, however sometimes all you need is something that tells the time, while looking incredible. 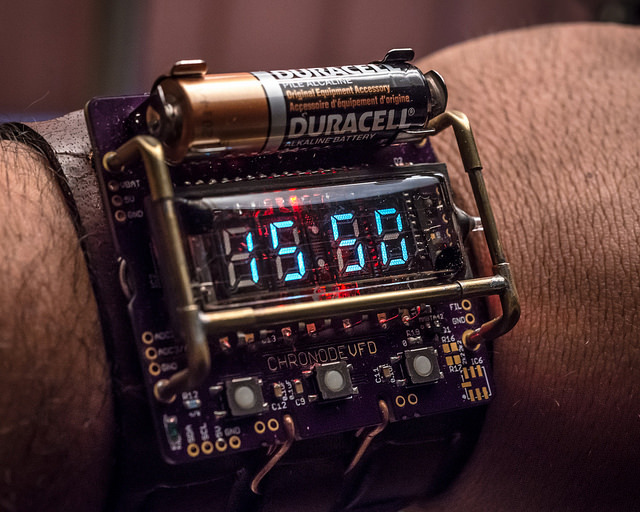 That’s precisely what engineer J. M. De Cristafaro did when he designed his CronodeVFD cyberpunk themed wristwatch. The IVL2-7/5 VFD display tube is actually Russian surplus, making them rather cheap to buy. His watch is centered around an IVL2-7/5 VFD (Vacuum Fluorescent Display) display tube, which has a rather flat tube rather than cylindrical making it an easy choice for a wristwatch. 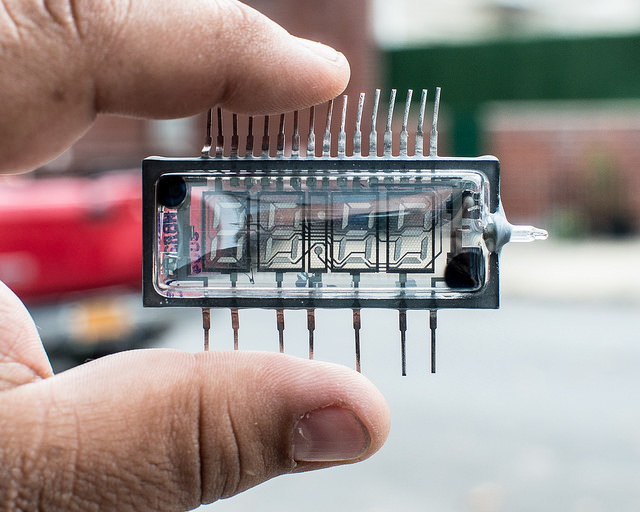 The CronodeVFD is powered by an ATMega 88 AVR and tells the time using a DS3231 I2C real time clock. One AAA or one AA battery powers the watch but only for 2 to 4 hours respectively, however since the watch is actually a costume piece it’s only worn occasionally. A simple leather band holds the watch in place and a brass ‘roll cage’ gives it protection.